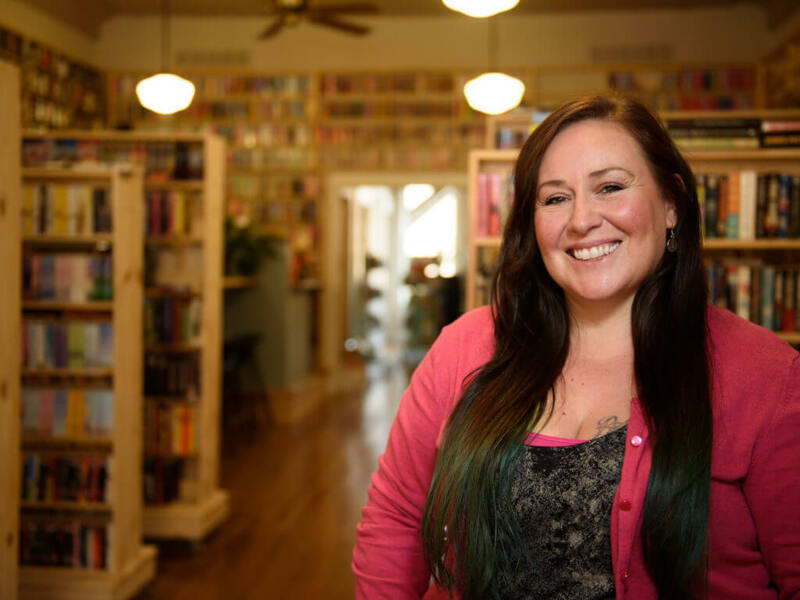 Carolina Preciado fell in love with The Bookworm the first time she visited, but she never thought that one day she would own Elkhart’s only independent bookstore. But that’s exactly what happened. Preciado and her daughter were regulars at the store on Bower Street when shop owner Karol Phillips asked if Preciado wanted to buy the business. It was 2015 and Phillips had owned the store for 42 years. She was ready to retire and planned to close it if she didn’t sell. Preciado was hesitant at first, but after talking to her family, she and two of her sisters bought The Bookworm together. 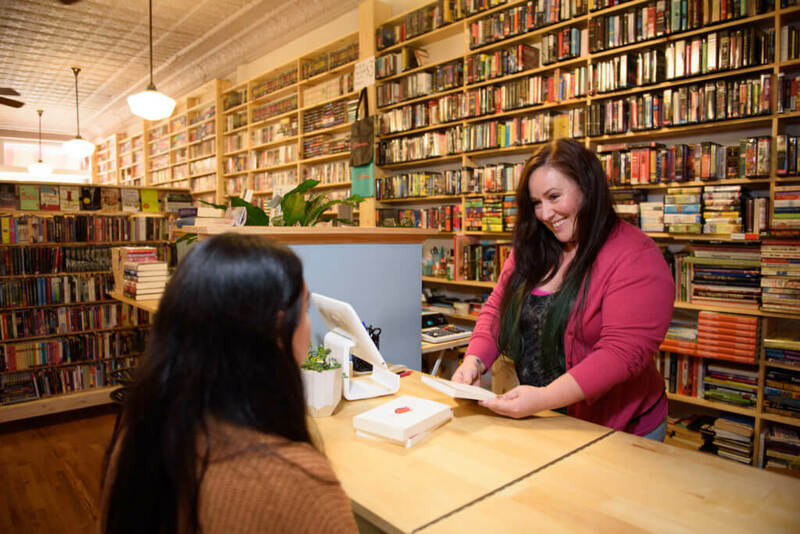 Carolina Preciado manages the day-to-day happenings at The Bookworm, an independent bookstore that recently moved from Bower Street to Main Street in downtown Elkhart. One of her sisters is an accountant in California, so she handles the bookkeeping. Her other sister has owned a business in Oregon for years, so she manages advertising and marketing. Preciado, who also works as a doula and midwife assistant, manages the day-to-day happenings in the store. “It’s awesome to be surrounded by books. I feel very fortunate that if I’m going to be busy doing something at work, this is where I am,” she said. The Bookworm sells a variety of used and brand new books in almost every genre, and what isn’t in stock can be ordered either brand new or used. Books often come to the store from customers who want to trade in their old books for something new and different. Some people were skeptical of her decision to buy a bookstore, but she quickly points to online retail giant Amazon, which is opening brick-and-mortar bookstores around the country. When she took over the store, Preciado wanted to keep some of the same things that regulars knew and loved about The Bookworm, but she wanted to make some changes too. So it seemed meant to be when Andy Jones with the Elkhart Chamber of Commerce approached Preciado and asked if she had any interest in moving The Bookworm downtown. After researching downtown areas in cities similar to Elkhart, the Chamber noticed that successful downtowns had an independent bookstore. As the director of downtown development, it’s Jones’ job to help businesses move into and thrive along the Gateway Mile, and he wanted to help The Bookworm. Jones connected Preciado with the owners of vacant storefronts downtown and got her in touch with the people at SCORE, who helped her create a formal business plan. She secured a business loan to renovate the new space and worked with a contractor to design the layout and build shelves. In a matter of months, Preciado was moving boxes of books into 128 S. Main St., next to Our Place on Main. Her dream to move downtown came true. The Bookworm celebrated its grand opening on Main Street June 2. The new space is a palace for book lovers, with shelves lining every wall from ceiling to floor. The main level has custom-built bookshelves on wheels, which can be moved to accommodate gatherings and events, and a couple chairs where customers can relax while looking through books. The basement is filled with long aisles of bookshelves, some which still have to be filled with The Bookworm’s expansive collection. In the back of the basement, Preciado has a large table with chairs and a cozy sitting area for people to read, do homework, play board games or simply hang out. Preciado sees The Bookworm as more than just a place to come in and buy a book. There are no immediate plans, but she eventually wants to host book clubs or story time events at The Bookworm. Congratulations ladies! Very proud and inspired by you all. Love you. This is wonderful! 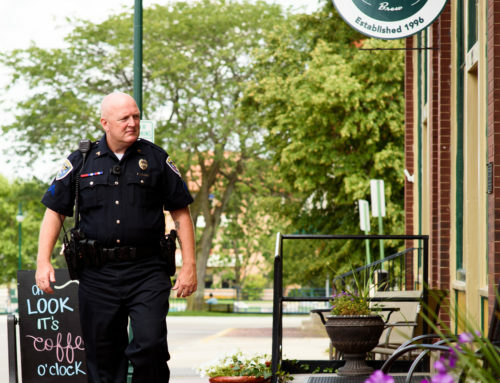 Bookstores are one of the most important parts of a community…Elkhart is lucky. Congratulations indeed! There is no such things as enough bookstores in this world.